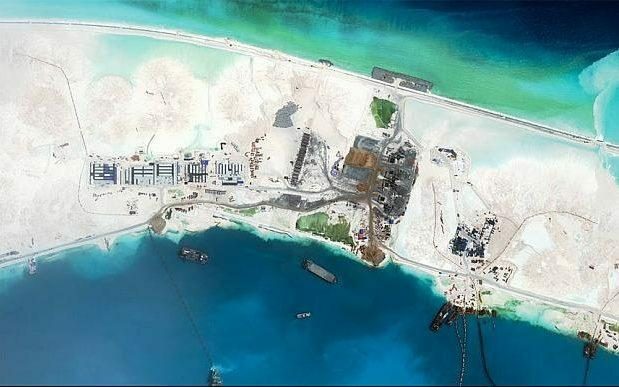 China raised tensions in the South China Sea on Wednesday by threatening to declare an air defence identification zone (ADIZ) over disputed waters where a tribunal has quashed its legal claim. The Permanent Court of Arbitration in The Hague ruled on Tuesday that China had “no legal basis” for its “nine-dash line”, which lays claim to almost all of the South China Sea. After considering a case brought by the Philippines, the court ruled against China on virtually every substantive point.